Turn left onto CT Route 82. Turn right onto CT Route 85 South toward New London (several miles). Turn right onto CT Route 161 and follow into East Lyme (several miles). 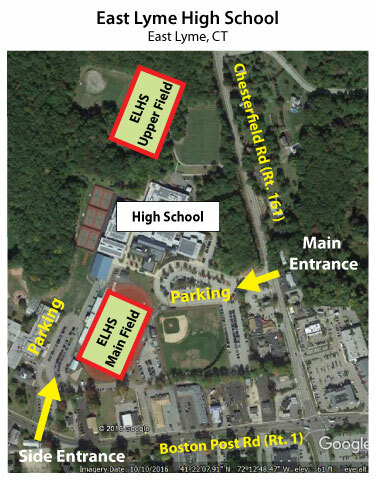 The East Lyme High School is on the right. Take I-95 North towards PROVIDENCE. Take the CT-161 exit, exit number 74, towards FLANDERS/NIANTIC. Turn left onto Flanders Rd/CT-161. The East Lyme High School is on the left. Take I-95 South towards New Haven. Turn right onto Flanders Rd/CT-161.